If you like the idea of tranquil walks along the River Danube and a less discovered part of town, then we think you’ll like this apartment. 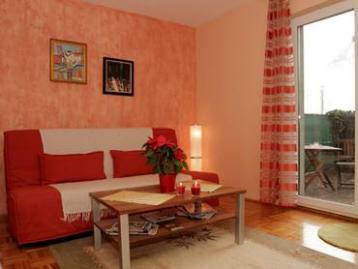 And when you’ve finished exploring outside, then you can sit and relax in the apartment’s garden. Or maybe take a long, hot soak in the bath. This cosy apartment will make a good base for your stay.